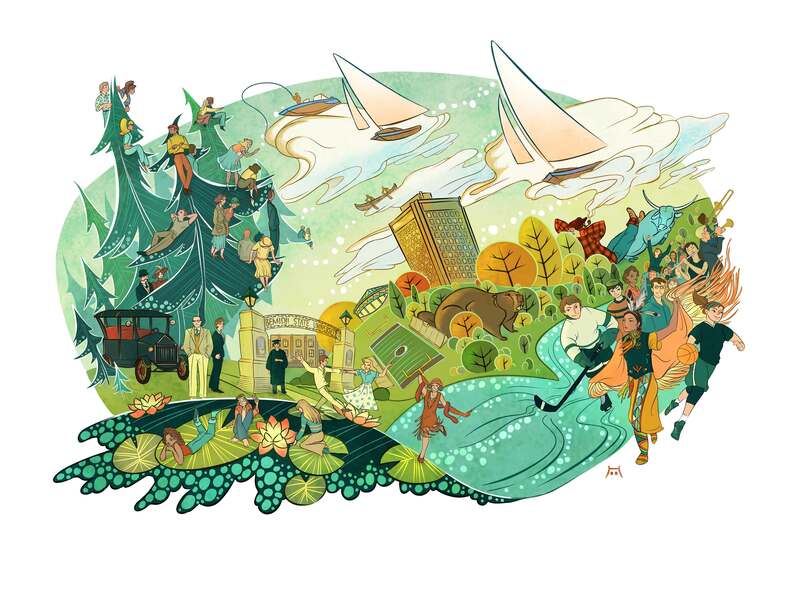 The work of Peter Tong Xiao, professor of art at Augustana College in Rock Island, Ill., will be featured in the Talley Gallery from Nov. 1 through Dec. 12. 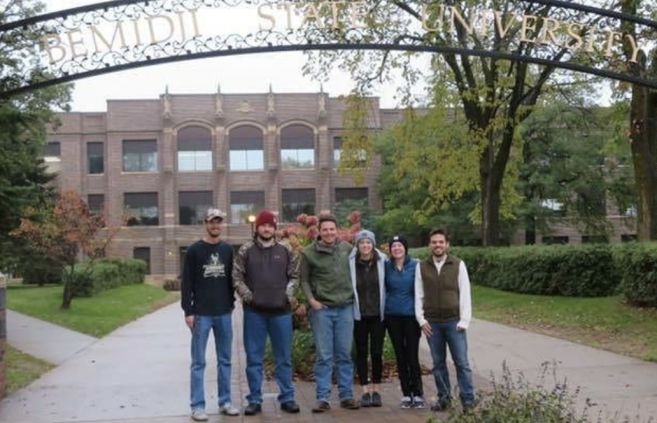 Throughout the month of November, faculty, staff and students at Bemidji State University will join together to pay tribute to the rich ancestry and traditions of Native Americans during National Native American Heritage Month. 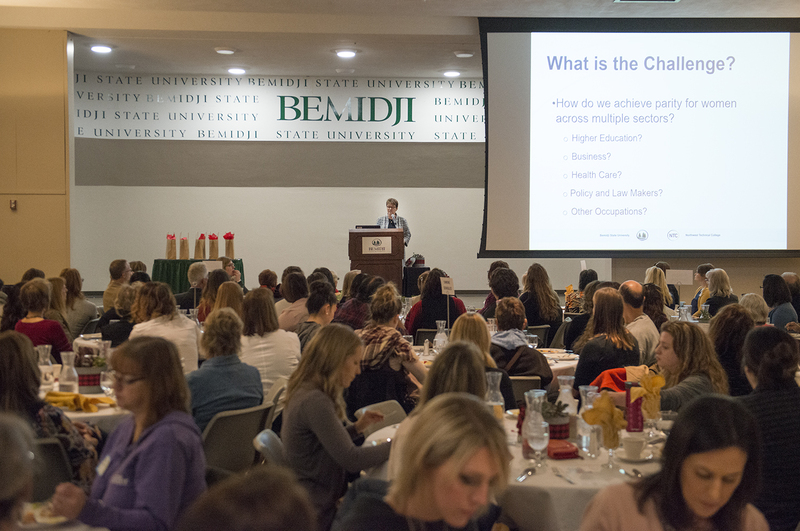 Bemidji State University and Northwest Technical College are hosting free, family-friendly Halloween activities for Bemidji-area children on the evening of Oct. 31. 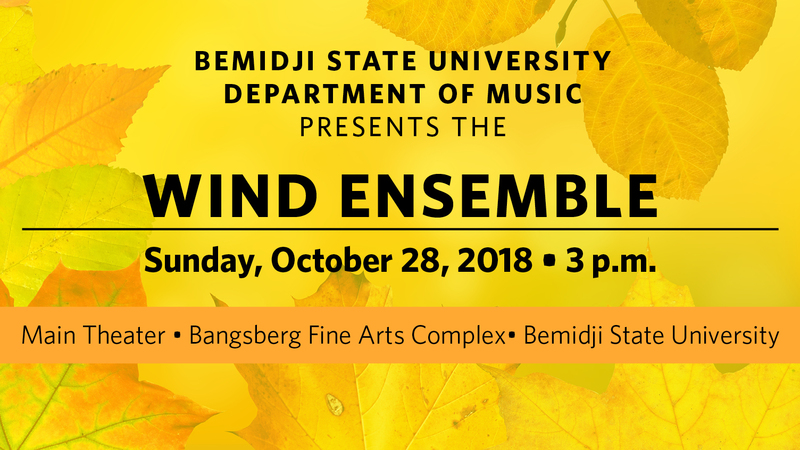 Bemidji State Department of Music Wind Ensemble Concert on Oct. 28. 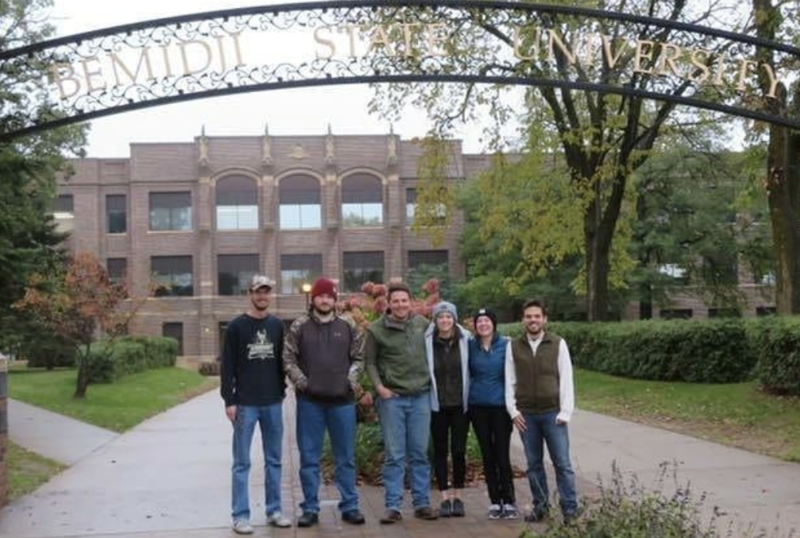 The Department of Music will host a wind ensemble concert on Oct. 28. 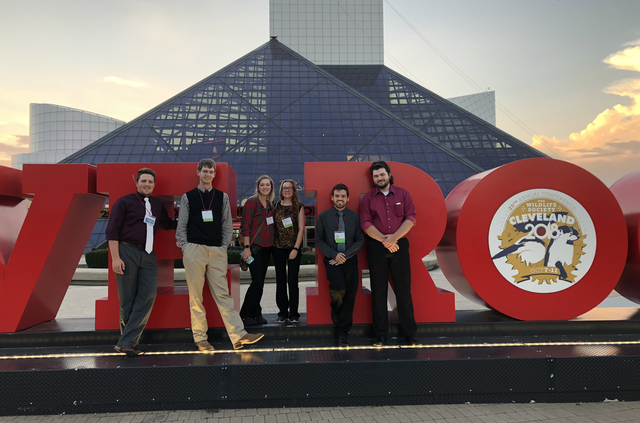 The performance will begin at 3 p.m. in the Main Theater of the Bangsberg Fine Arts Complex. 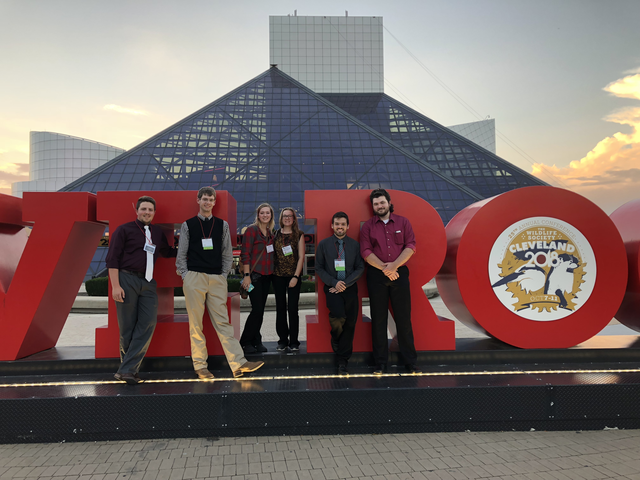 Admission is $8 for adults and $5 for seniors. Bemidji State students can attend for free with a valid ID. Dr. Debra Peterson, assistant to the president for a affirmative action & accreditation (interim), was awarded the 2017-2018 Minnesota State Colleges and Universities Academic and Student Affairs Award for Distinguished Diversity Leadership, on Oct. 24. She was nominated by Dr. Jesse Grant, associate vice president for student life and success. Women United Tribute Award breakfast. 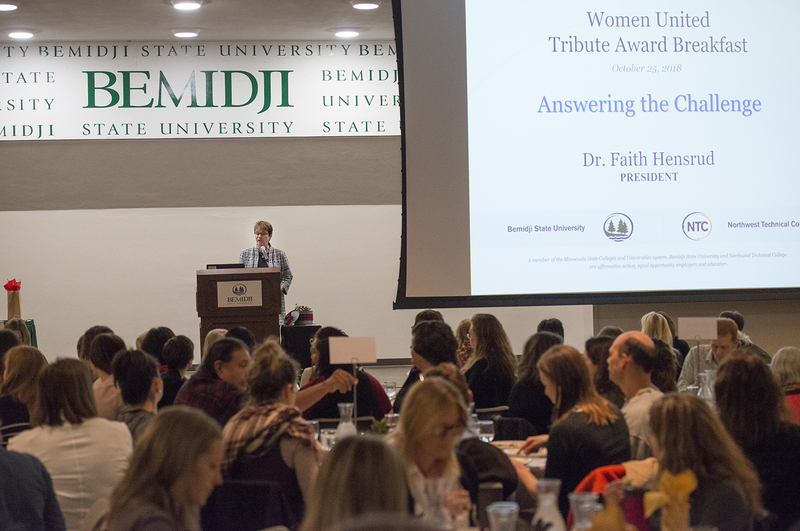 Bemidji State President Faith Hensrud, keynote speaker at the Women United Tribute Award breakfast. 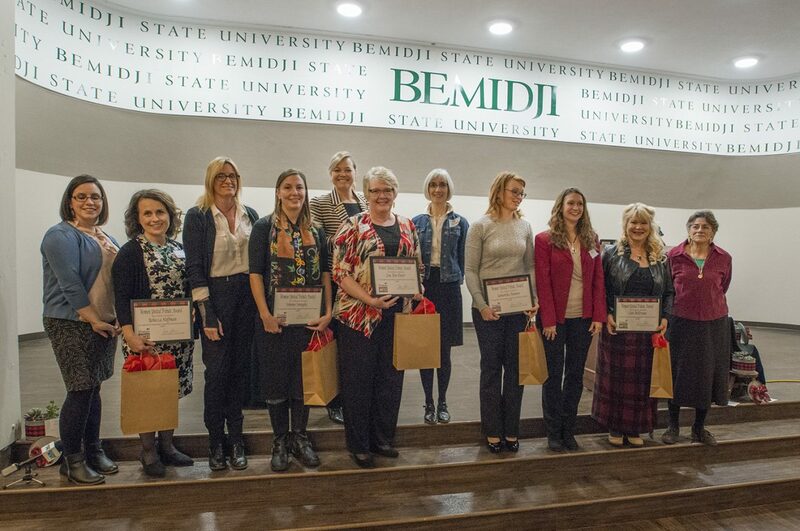 Bemidji Women United Tribute Award recipients. 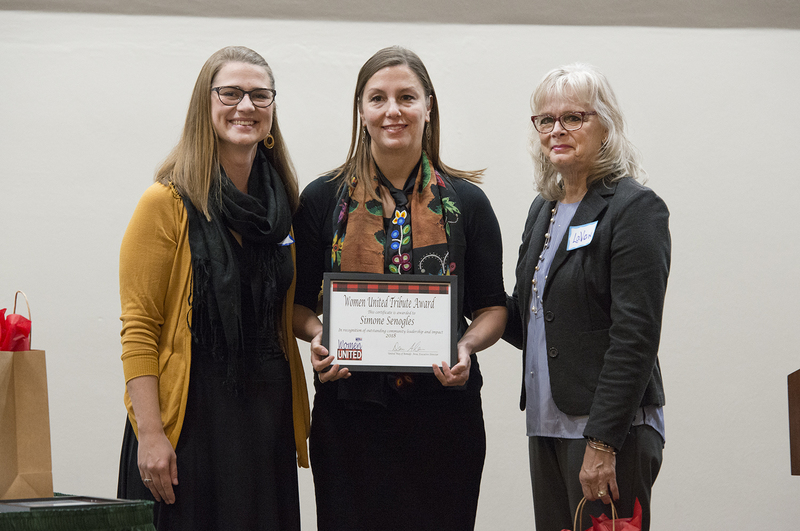 Rebecca Hoffman, Bemidji State assistant professor of social work received a Women United Tribute Award in recognition of outstanding community leadership and impact. 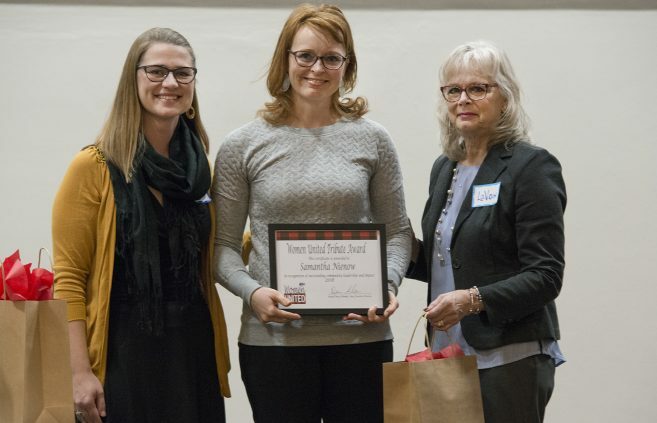 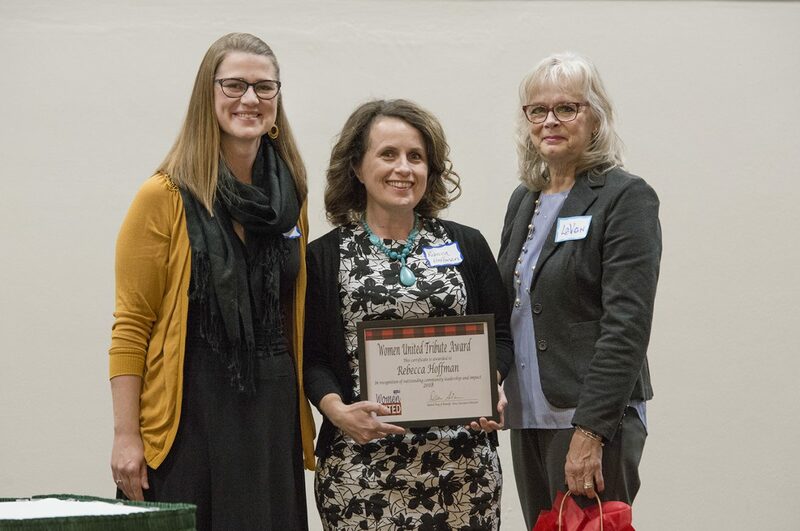 Simone Senogles, development coordinator at Bemidji’s Indigenous Environmental Network and BSU alum, received a Women United Tribute Award in recognition of outstanding community leadership and impact. 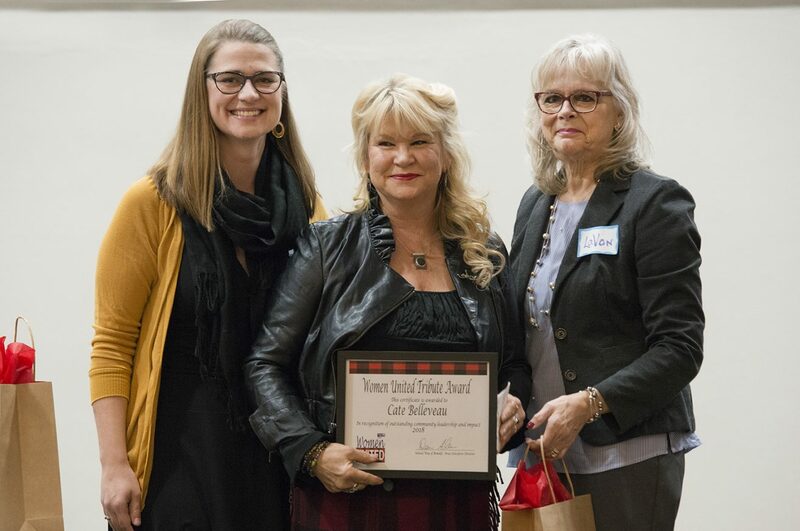 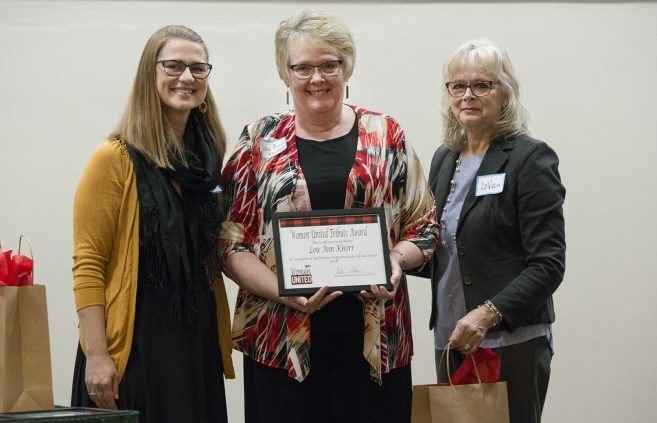 Samantha Nienow, owner and presentation designer at Red Zest Design, received a Women United Tribute Award in recognition of outstanding community leadership and impact. 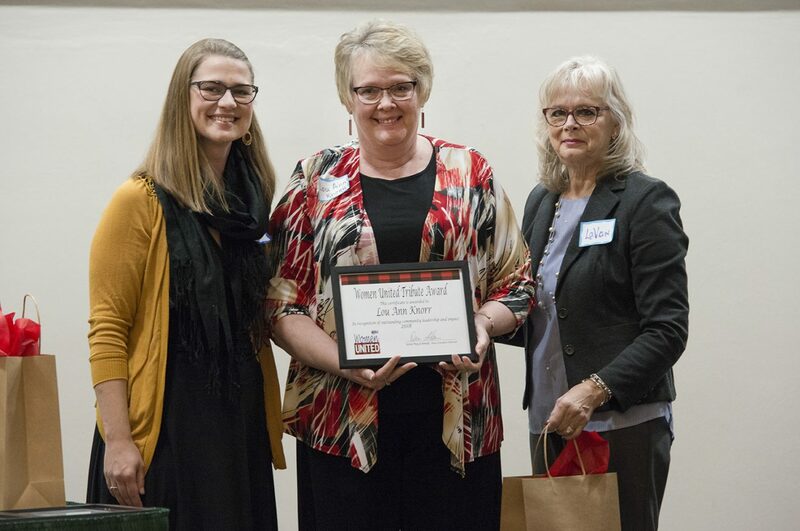 Lou Ann Knorr received a Women United Tribute Award in recognition of outstanding community leadership and impact. Cate Belleveau, STEM instructor at Leech Lake Tribal College, received a Women United Tribute Award in recognition of outstanding community leadership and impact. 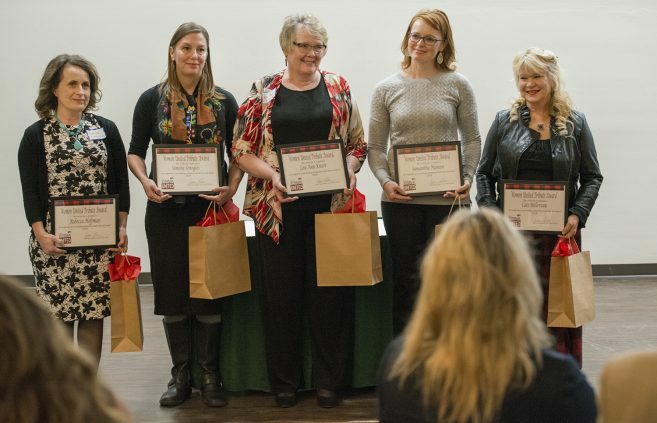 Bemidji Women United Tribute Award recipients and board. 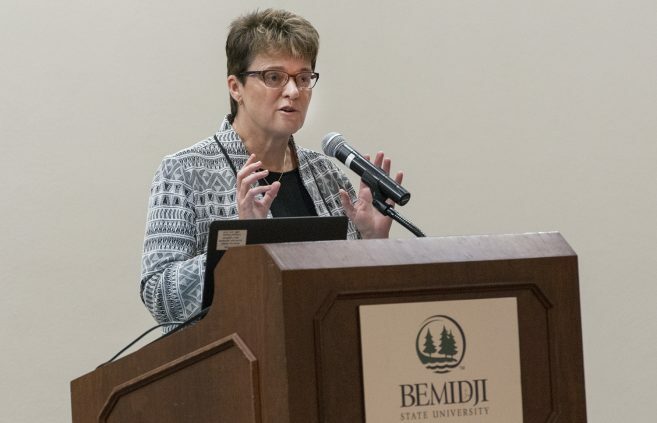 Bemidji State President, Dr. 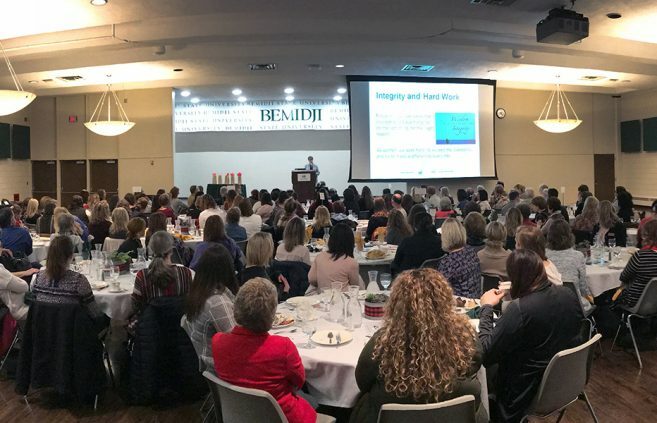 Faith Hensrud, spoke at the 2nd Annual Women United Tribute Award breakfast on Oct. 25 where five local women received awards in recognition of their outstanding impact on the Bemidji community. 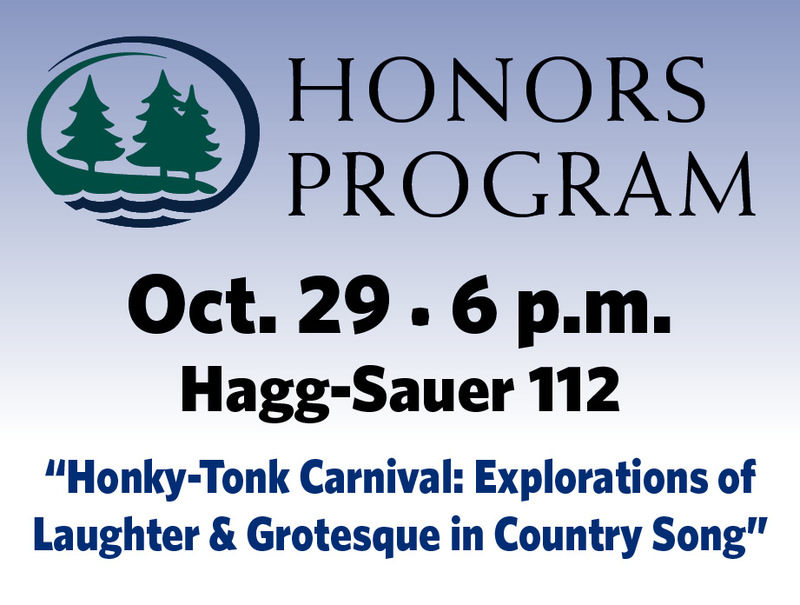 Miriam Webber, assistant professor of music at Bemidji State University will continue the Honors Council Lecture Series with her research on “Honky-Tonk Carnival: Explorations of Laughter and Grotesque in Country Song” on Oct. 29. 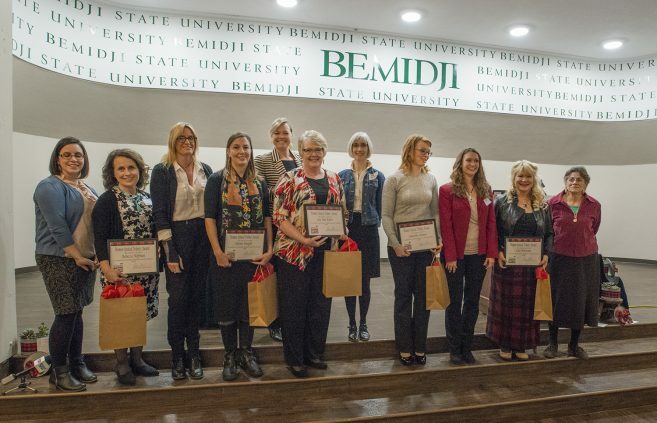 In honor of the 100th anniversary of Bemidji State University, the Ramsey Gallery in the Bangsberg Fine Arts Complex is now showcasing the history of the university in the form of an interactive gallery through the decades. 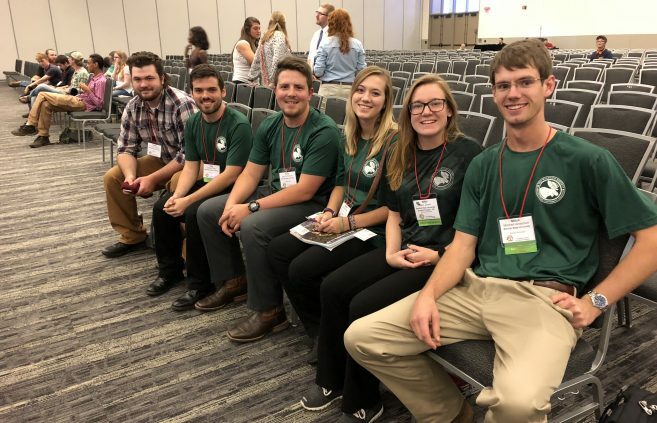 Six Bemidji State University students studying wildlife biology attended The Wildlife Society’s 25th Annual Conference in Cleveland, Ohio. 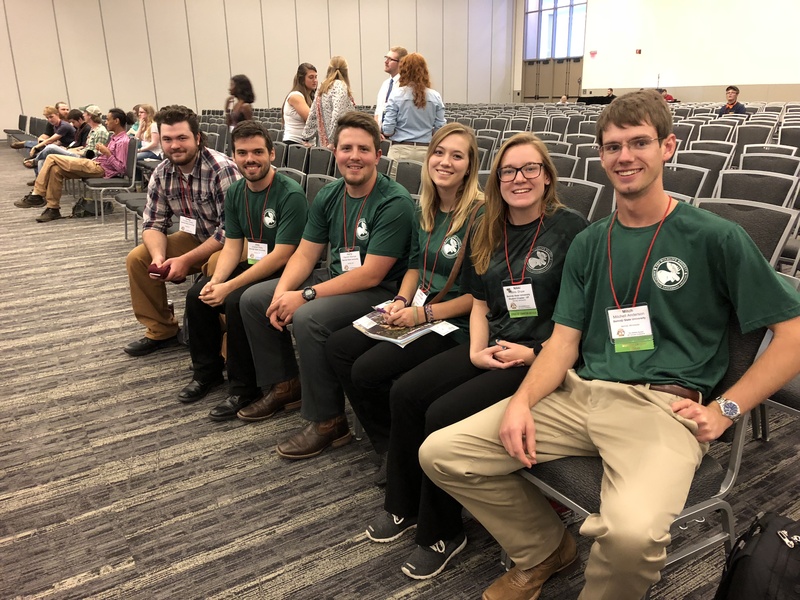 In early October, six Bemidji State University students studying wildlife biology attended The Wildlife Society’s 25th Annual Conference in Cleveland, Ohio.